The Revel VLS Boost gauge monitors both vacuum from 30 inHG and boost pressure up to 45 PSI. The OLED screen allows for easy readings from any viewing angle, and a 30 LED outer ring for viewing at a quick glance. 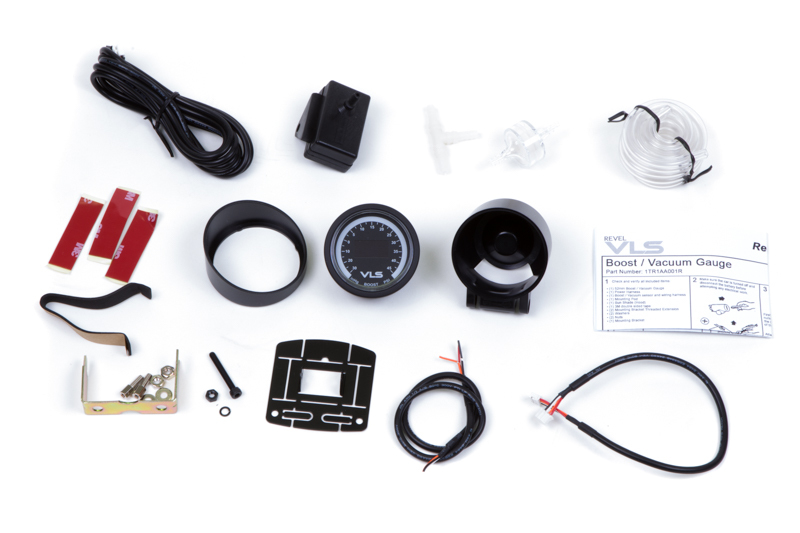 This kit is included with the boost sensor for a simple installation process. The Revel VLS Boost gauge is daisy-chain compatible with the VLS Water Temperature gauge, VLS Oil Temperature gauge, VLS Oil Pressure gauge, and VLS Voltage gauge. 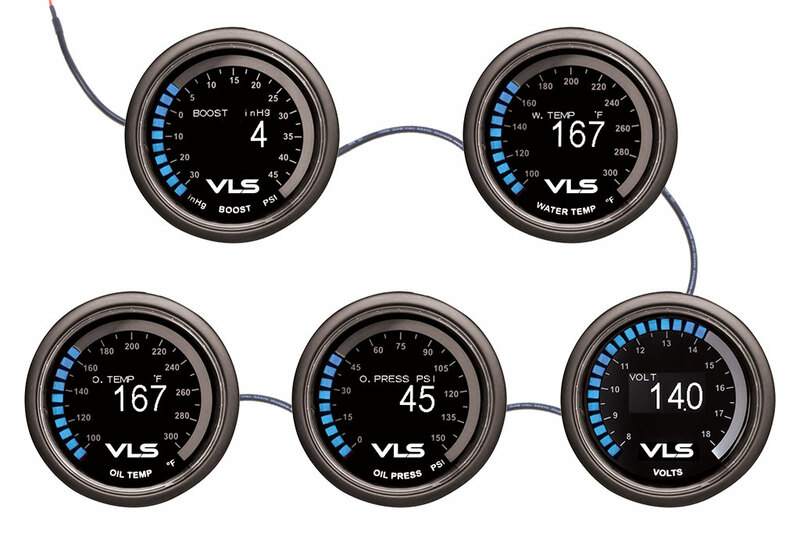 The Revel VLS Boost gauge is daisy chain compatible with other VLS gauges. This requires only one source of power for the first gauge in the series and utilizing the included daisy chain cable to power other gauges. 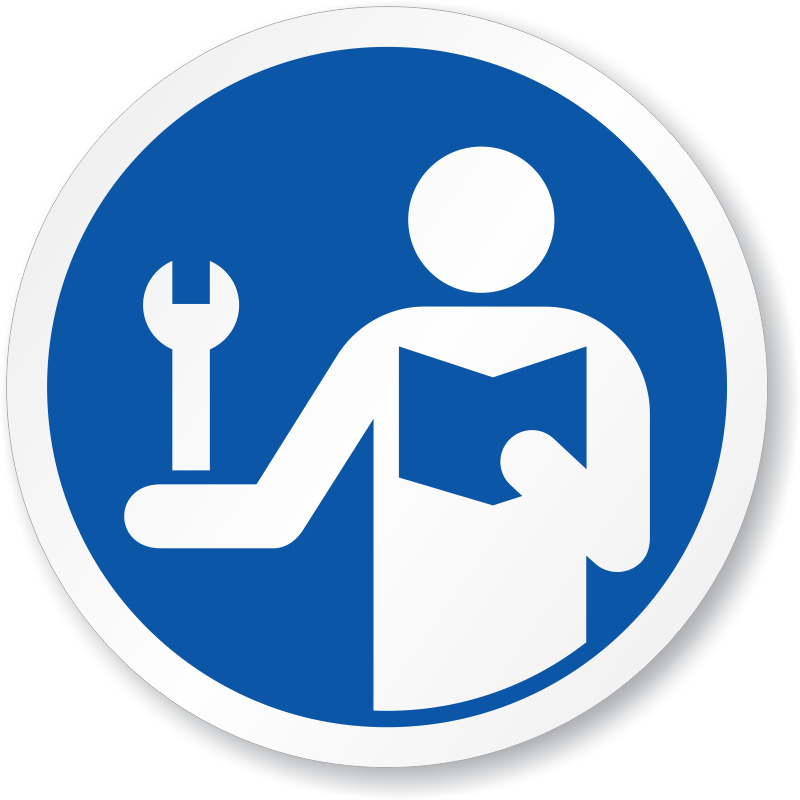 This allows for a clean installation that avoids having many cables connected to a power source.